Those in the St. Louis area are watching the implementation of state law regarding school districts who lose their accreditation. 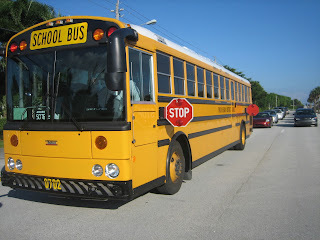 Normandy and Riverview Gardens school districts have selected the receiving districts for their transportation funds for students who wish to exercise their right to transfer out of the unaccredited district into an accredited district either in their own county or an adjoining one. While everyone supports the desire for children to be able to escape a "failing" district, there are many details that will need to be addressed by all four districts involved most heavily in this situation (how many students can they expect, what will be the impact on special services, how will IEPs be handled, class sizes etc.) 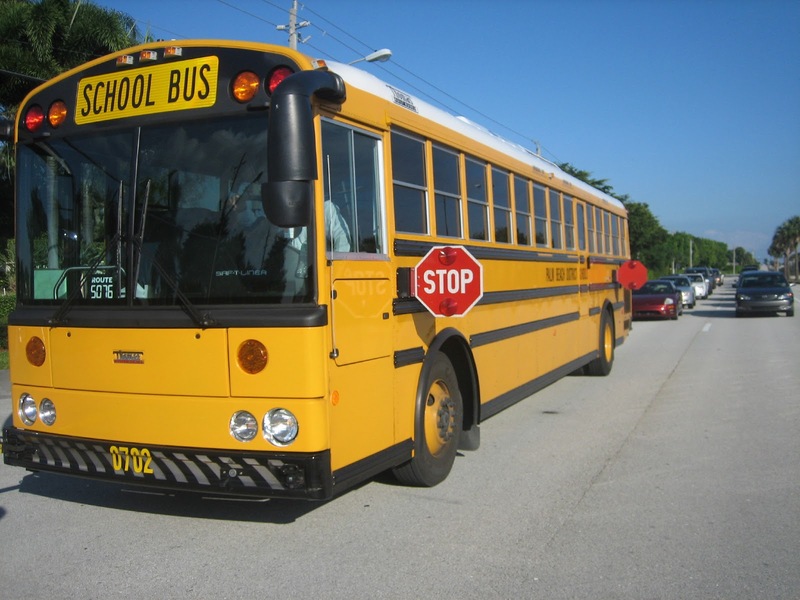 Other districts may face similar issues though on a smaller scale as anyone transferring to any other accredited district besides Francis Howell or Mehlville will have to provide their own transportation. Today's guest post is from someone who will be both affected by the upcoming transfers and is very knowledgeable about the operations of a school and classroom. The author takes a look at the "DESE Schools" created in Normandy and Riverview, schools with both dollars and experts thrown at them to achieve the state's goals. Despite that and the constant attention doled out by DESE, both districts still lost their accreditation. The receiving districts will not be given the tools DESE had, but will be expected to achieve what DESE could not. Can anyone explain how they are going to do that? Does anyone have a reasonable expectation that they will succeed? What exactly is a DESE school? A DESE school is a Missouri public school that has lost its accreditation and been designated unaccredited by the Missouri Department of Elementary and Secondary education and our state board of education. The Normandy School District and Riverview Gardens District are among them. The state takes away accreditation and replaces the school board and staff in an attempt to fix the problem. They bring in top experts, write textbook worthy school improvement plans, apply and receive hundreds of thousands of dollars in grant money and stimulus funds, replace teachers and administrators, and even change the dress code. Upon designation of the Normandy districts downgrade, a state school board member commented that this was 20 years in the making! Twenty years! How many Normandy students were cheated out of an education during those twenty years? Where was DESE during those twenty years? Where were the parents? Where was the community outrage? I truly believe a child learns best when surrounded by those closest to them. Please explain to me why the DESE model didn’t work? After all, great teachers, good intentions, new administration, more money, and a fantastic school improvement plan should equal great results or at the minimum some improvement. If we “spread the wealth”, “equally distribute” good teachers and leaders, set rigorous college and career ready standards for all students why are those districts still failing? Again, please explain to me why the DESE model didn’t work? It is based on recommendations from the US Department of Education. I believe it is a similar plan to the federal “turnaround” model. It seems there are a lot of well-intended educrats out there that feel they know how to fix the problem. Shouldn’t we as a communities and a Nation be asking ourselves the difficult question of WHY these schools are failing? That seems to be the elephant in the room. No one wants to address the real issues. Everyone is quick to place blame everywhere else but where it belongs. Since the DESE model didn’t work and the DESE schools are still failing, this now becomes the responsibility of the Francis Howell and Melville School Districts. Please explain why those taxpayers now have to “fix” this? Twenty years in the making! The difference between this situation and voluntary transfer programs is the fact that Francis Howell and Melville did not have a say in this decision what so ever! Normandy and Riverview Gardens were able to pick. DESE is rewarding them for failure to provide a free and appropriate education for students in their attendance area. For those who still believe that local school boards still have local control, think again. Our Missouri school districts no longer have a say in who attends their schools. What most people don’t realize is that it will cost much more that those districts will pay for the transfers. Since those transfer students have been in failing DESE schools all of their lives, they are likely to be significantly below grade level in all areas especially reading and math. Through no fault of their own, they will now sit on a bus for hours each day and be placed in buildings based on availability and expected to be at their current grade level. The teachers in the new districts will now be tasked with trying to fix this problem. Their evaluations will be based on the achievement tests these students will be required to take at their grade levels. Why is it now all of the sudden their sole responsibility to fix the problem. The Francis Howell School District prides itself on parent and community involvement and this is a huge factor as to why the district is so successful. Will those parents of the transferring students be involved in the education of their child? Will they drive the 20 plus miles to attend parent teacher conferences, IEP meetings, sports events and assemblies? Will they volunteer in the classroom or school library? Will they assist with homework and read to their kids each night to give them a leg up the next day? Will they make sure homework is completed and turned in? Will they support the schools if discipline issues should arise? These are the expectations of successful districts. These are the characteristics that make great districts great! I hope those parents that are choosing to transfer their students understand fully their responsibility as a parent. I have a hard time believing this was actually going on in the transferring district. Could this be the reason these schools cannot be fixed? Even DESE cannot mandate involved parenting. DESE and the state board are setting these students up for failure if they think this is going to “fix” the problem. Until everyone decides it is time to address the real root of the problem and admit that the breakdown of communities and families play a significant role in the reasons for these failures no amount of money, best plans, uniforms, or transferring to neighboring districts is going to solve the problem. I agree exactly. Kids do best when they have the backup of their parents or at the very least, an involved adult. I went to Normandy and graduated in 1976. I have watched the decline of the district ever since. It will be interesting to see how this experiment works out. If it were just a matter of receiving the new kids and doing your best to educate them, the problem would not seem so ominous. However, school districts have student performance targets that they are expected to meet and catching these children up to those targets will require a massive effort. Further cranking the lid on the pressure cooker is DESE's ability to essentially take over a district which doesn't meet these targets. You dramatically change the makeup and function of a district yet expect them to maintain their prior performance levels without additional money, and you have the recipe for destroying a district. Even the good students that everyone knows are in Normandy/RG can have this sort of impact on their new districts simply because they are so far behind. It is the bureaucratic meddling that is causing much of these problems.